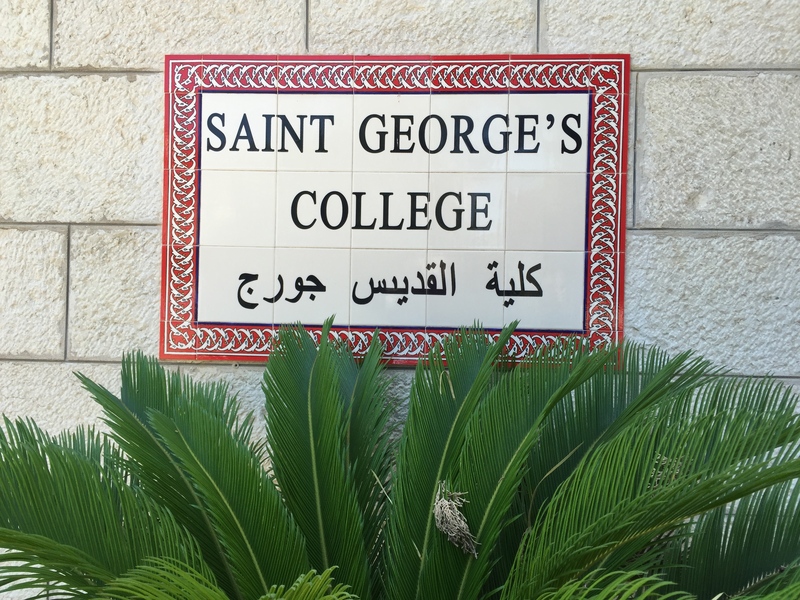 The Palestine of Jesus course held at St Georges College in Jerusalem combines biblical and historical studies with pilgrimage to selected sites connected with Jesus’ life, ministry, death, and resurrection. The Palestine of Jesus tour held at St Georges College in Jerusalem combines biblical and historical studies with touring the region. 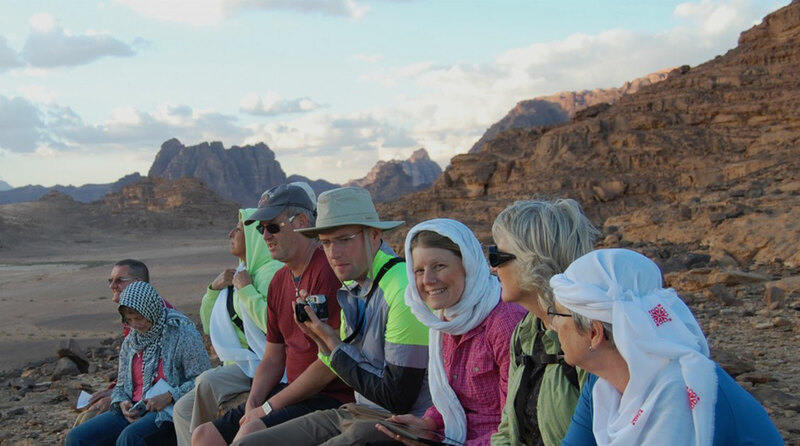 The pilgrimage goes to selected sites connected with Jesus’ life, ministry, death, and resurrection. It is educational and has a great focus on the historical contexts and cultures in which Jesus’ exercised his earthly ministry, full of teaching and theological insights, it will be a holiday of a lifetime! During your stay you will be a guest of ‘living stones’, the local Palestinian Christian community, with whom you will draw nearer to Christ in the breaking of the bread. We recommend you arrive the day before the commencement of the Palestine of Jesus program. Attend the 6pm evening prayer and Eucharist at St Georges Cathedral, followed by a welcome reception and dinner at St George’s College. After breakfast there will be an orientation and overview of the course. Depart by coach from the College for an orientation tour of Jerusalem. Return to the Guest House for lunch. This afternoon will be a lecture “The geographical context of Jesus’ ministry”. Evening prayer at 6pm followed by dinner. After breakfast we depart for Bethlehem (Luke 2:1-8) and visit the Church of the Nativity with reflection on Scripture (Matthew 1:18-25) Continue to Shepherd’s Fields with a time followed by lunch in Beit Sahour. We visit a co-operative craft shop for a spot of shopping before travelling to nearby Herodian (Matthew 2:16-18). Return to St George’s College for 6pm evening prayer and dinner. After dinner will be “Christ in the Quiet” in the College Chapel..
After breakfast we depart for the Judean wilderness. We pause for Good Samaritan reflections (Luke 10:25-37). Visit Jericho, the site of the sycamore tree (Zacchaeus - Luke 19:1-10) before taking the cable car to the Mount of Temptation (Matthew 4:1-11). After lunch in Jericho we visit the Hebron glass shop then continue to the baptismal site on the River Jordan for the opportunity to renew your baptism vows (Mark 1:1-13). Return to the college early afternoon for free time before 6pm prayer and dinner. “And I tell you, you are Peter, and on this rock I will build my church” (Matthew 16:18). We then enjoy lunch at the Mount of Beatitudes with reflection on Scripture (Matthew 5:1-12). In the afternoon we visit Capernaum (Matthew 8:5-18, Luke 7:1-10; John 6:52-59). We then travel to Nazareth and check in at the Sisters of Nazareth Guest House for a 2 night stay. Whilst in Nazareth we also visit Mary’s Well and St Gabriel’s Orthodox Church. Lunch at Awtar restaurant then travel north to Caesarea Philippi (Banias), source of the river Jordan, with reflection on Scripture (Matthew 16:13-28) and the Golan Heights (Acts 9:1-19). Return to Nazareth for dinner and overnight. An early breakfast before we join the 10am Eucharist at the Anglican Christ Church in Nazareth. After lunch we travel to the Sea of Galilee for a boat ride and reflection on Scripture (Matthew 8:23-27). Return to Jerusalem in the afternoon in time for 6pm evening prayer and dinner at the College. Visit the Old City, Nablus and the Samaritan community centre followed by lunch. In the afternoon visit the Greek Orthodox Church of the Samaritan Woman at Jacob’s Well, with reflection on Scripture (John 4:4-42). Return to the College for evening prayer and dinner. After breakfast we depart for the Mount of Olives on the outskirts of Old Jerusalem. Walk to Dominus Flevit, the church remembering when Jesus wept (Luke 19:41). Continue down Palm Sunday Road to the Garden of Gethsemane. Lunch at back at the Guest House with the afternoon free. Before dinner enjoy a lecture on Islam. Continue to the Western Wall / Wailing Wall, (Matthew 21:12-17, Mark 11:15-19, Luke 19:45-48, John 2:13-22) before returning to the College for lunch and free time. Tonight’s lecture will be on Judaism. An early departure for Masada via Ein Gedi (1 Samuel 24:1-22)as we tour the Masada excavations. Lunch in Qumran followed by a visit of the Qumran Excavations (Community of the Essenes). Float on the Dead Sea and cover yourself in mud before returning to the College for a hot shower and dinner! Lunch at the Guest House with free time for the remainder of the day. Evening Prayer at 6pm followed by dinner and an evening briefing on the Holy Sepulchre. Depart after breakfast. Airport transfer to Tel Aviv airport. or email groups@missiontravel.com.au or call 1300 554 654. The tour balance is due no later than 90 days prior to the commencement of the Palestine of Jesus course. Visa/Mastercard payments attract a 1.5% fee and American Express a 3.5% fee. St George's College Jerusalem (SGCJ) is a continuing education centre of the Anglican Communion. It is an agency of the Episcopal Diocese of Jerusalem, with a mission to the local church within the Diocese, to the wider Anglican Church in the Middle East, and to the global Anglican Communion. The College programs focus on pilgrimage, community, study and reconciliation. The College is on the grounds of the St George's Cathedral in East Jerusalem. It is a three story building containing en suite rooms capable of housing up to 42 people. The 21,000 volume library is one of the largest English language libraries in Jerusalem. Space on this amazing tour is strictly limited to only 6 people so please book in as soon as you can. International flights from Australia to Israel are limited and at this busy time this should be investigated as soon as possible. Please contact the team at Mission Travel to book your flights to accompany this tour. Please do not book your flights until we have advised that the tour is guaranteed to proceed. In Jerusalem you will be staying in the Guest House at St George's College in East Jerusalem. The College is centrally located in a quiet, safe area that is walking distance to the Old City. There is CCTV and 24 hour security of the entire Cathedral Close area. Bedrooms are clean and comfortable with twin share and an ensuite. For relaxation there are comfortable common areas including a lounge, dining area, library and a rooftop patio which is ideal for quiet times, reading and spending time with others. There is a mini mart walking distance from the College. Bookings for this tour will close on 120 days prior to departure (Friday 30 November 2017) unless sold out prior. Final payment is due no later than Friday 29 December 2017. However, if the tour is cancelled by Mission Travel due to lack of numbers or security concerns, your deposit will be refunded. When in Israel why not take the opportunity and extend your stay to visit more of this incredible region! We suggest that you extend your stay AFTER the Easter tour rather then prior. There are options to visit neighbouring Jordan or Egypt or just more time in Israel. We work with on-ground operators and larger tour companies and have expert knowledge of the region. Full participation in programs offered by St George’s College Jerusalem requires a good level of general fitness and the capacity to walk over uneven surfaces or up steep inclines. Please indicate any limitations on your fitness or mobility that may need to be taken into account. For people over the age of 80 we ask for an assessment of your fitness by your medical practitioner. 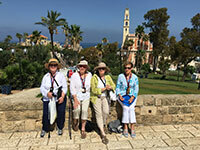 Please don't hesitate to speak to our groups team who have all visited the Holy Land before. WOW, We cannot thank you enough for all that you have done to make our honeymoon so magical! We had rose petals in the shape of a love heart on our bed in Livingston! We had a bottle of Champagne waiting for us in Namibia! You are amazing And the lovely wedding card you sent us in the mail... it really touched our hearts. Thank you so much. You are incredible. "The whole experience was amazing! I loved it and would go back tomorrow!” I learned just as much from the locals as they did from us. The tour itinerary was jam packed and certainly allowed us to see the sites, experience the culture and enjoy our team. There were lots of laughs!" Mission Travel were extremely helpful and did a great job of arranging our last minute holiday.